Check out this new music video from DJ Switch ft. Ovikelz – Gun Gun out now! 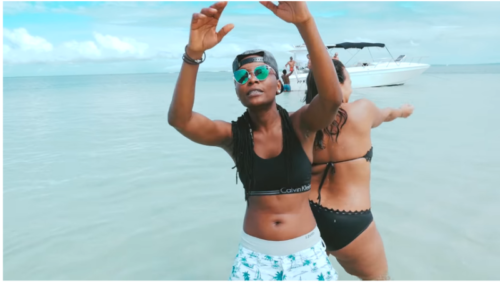 Top female disc jockey, DJ Switch pulls out a brand new video for 2019 for her song ‘Gun Gun‘ which features Ovikelz. The visual is simple as it shows DJ Switch having fun riding a boat, playing on the beach side. It was directed by Boris & John Rich. Watch DJ Switch ft. Ovikelz – Gun Gun below. Kindly enjoy and share!